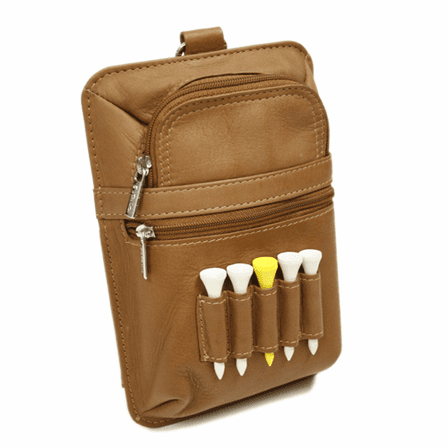 FEATURES/SPECS Serving a multitude of purposes, this genuine leather golf accessory pouch allows you to simplify and simplify your life on the links. 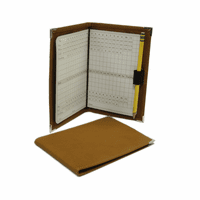 You'll stay organized and look good at the same time. On the course, the rear window pocket with a scorecard and pencil slot allows you to jot down each birdie or bogie with ease. Five looped tee holders allow convenient access when you are ready to tee off. 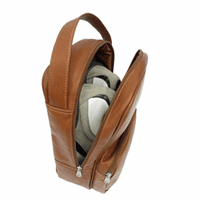 The main zippered compartment is roomy enough for cash or extra balls. 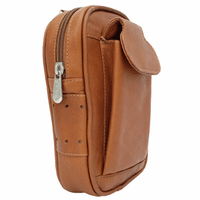 An additional front zippered pocket is perfect for small accessories. 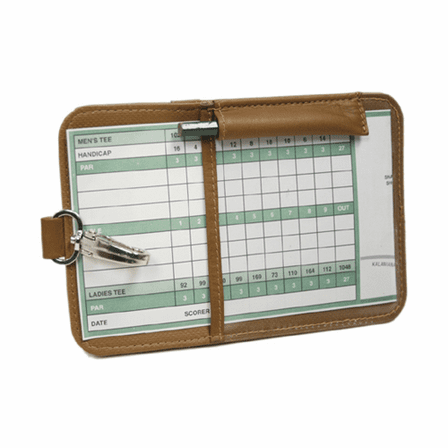 Add free embossing of up to three initials to the front to turn this into a personalized gift for your favorite golf fanatic. 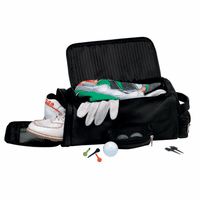 A sturdy metal snap hook attaches this personalized golf pouch securely to your golf bag. Dimensions: 5" x 7 1/4" x 1 3/4"
I think this was a great product. What i received was exactly as advertised.